First published in the SFU Aboriginal Peoples supplement Tuesday January 21st, 2014. “B.C. is the hotbed of First Nations language diversity in Canada,” says Marianne Ignace, director of SFU’s First Nations Language Centre (FNLC). Of Canada’s 60 First Nations languages, 30 are found only in B.C. and are among the most complex intellectual structures on Earth. These 60 languages comprise eight separate language “families” in which the languages are descended from common ancestor languages. Of those eight language families, six are in B.C., with some as distinctive from each other as Japanese is from English. “But First Nations languages in B.C. and Yukon Territory are in a critical state of decline,” says Ignace, a professor of linguistics and First Nations Studies. She has made it her life’s work to collaborate with West Coast First Nations to find ways of preserving and teaching these languages. It’s a daunting task. For many of the languages there are only a few speakers still living. But a major new initiative led by Ignace and funded with a $2.5-million project grant from the Social Sciences and Humanities Research Council of Canada (SSHRC) presents fresh hope for the region’s Indigenous languages and the heritages they help preserve. The seven-year project is a partnership between the FNLC and 22 First Nations community groups in B.C. and Yukon dedicated to maintaining and revitalizing Indigenous dialects. 1) To continue documenting the languages. Community teams will work with academics to record stories as told by the elders and to gather information on local place names, as well as ecological and biological information. 2) To preserve linguistic integrity by determining the languages’ grammatical and phonological forms, and developing feasible ways of assessing proficiency and fluency. 3) To collaborate with the Stavros Niarchos Foundation Centre for Hellenic Studies at SFU to build cool apps for second-language learners that will help them tackle grammar. 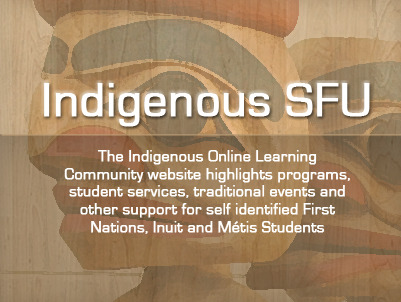 4) To work with SFU Library Services to develop and maintain long-term safe storage and retrieval systems for language data that respects the communities’ ownership of that information. The project will involve 10 faculty members from SFU’s departments of Linguistics, First Nations Studies, Psychology, and from IPinCH, the Intellectual Property Issues in Cultural Heritage project. The project includes three co-investigators from SFU Linguistics (Donna Gerdts, John Alderete, and Tom Perry), and also has co-investigators at the University of Victoria, UBC, UNBC, the University of Alberta, and McGill. “This project exemplifies SFU’s community-engaged strategic vision,” says SFU VP Research Mario Pinto. “It emphasizes building close community connections, and fostering interdisciplinary research and knowledge mobilization while acknowledging and respecting Aboriginal peoples and cultures. Dr. Marianne Boelscher Ignace is Professor, jointly appointment between the Department of Linguistics and First Nations Studies, and Director of the First Nations Language Centre. Dr. Ignace completed her Ph.D. in Anthropology at Simon Fraser University, writing her dissertation on the politics of Haida symbols which was published as The Curtain Within: Haida Social and Symbolic Discourse. She has also published articles on Haida oratory and Potlatching. For the past twenty years, Dr. Ignace has also focused her research on the Secwepemc (Shuswap) people of the Plateau, where her interests are aboriginal land use and occupancy, ethnobotany, traditional ecological knowledge, ethnohistory, and the linguistic and anthropological analysis of Aboriginal language discourse. She has authored and co-authored papers in various journals and books on these topics, and has also carried out research in the field of Aboriginal language revitalization, some of which is published in the Handbook for Aboriginal Language Program Planning in B.C. In recent years, she has worked with First Nations communities and elders on various language revitalization projects, including Secwepemctsin, St’at’imcets, Heiltsuk, Nuxalk, Haida and Sm’algyax.